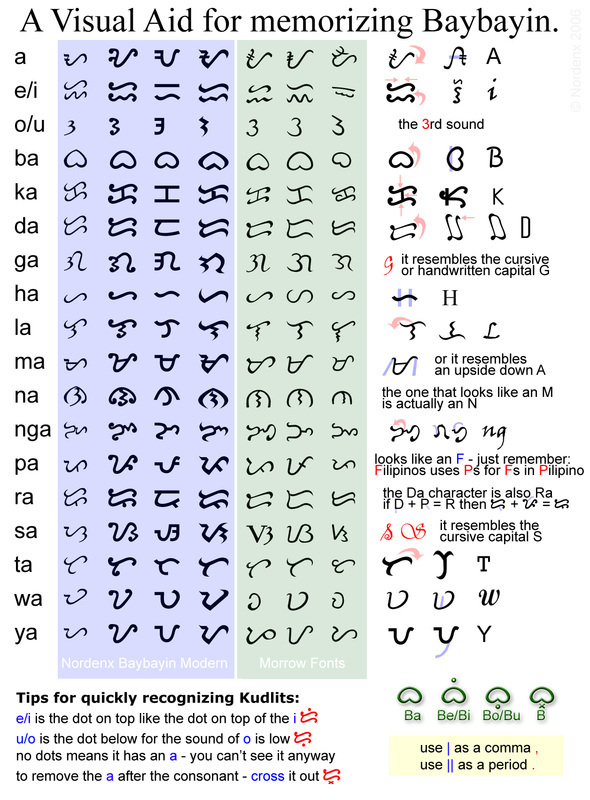 Baybayin (pre-kudlit: ᜊᜊᜌᜒ, post-kudlit: ᜊᜌ᜔ᜊᜌᜒᜈ᜔) is a pre-Spanish Philippine writing system. It is a member of the Brahmic family and is recorded as being in use in the 16th century. It continued to be used during the Spanish colonization of the Philippines up until the late 19th Century. 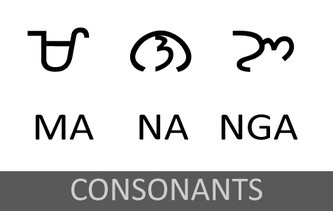 Modern scripts in the Philippines, descended from Baybayin, are Hanunó'o, Buhid, Tagbanwa, Bisaya and Kapampangan script. 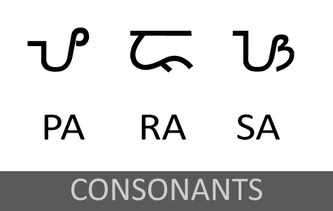 Baybayin is one of a dozen or so individual writing systems used in Southeast Asia, nearly all of which are abugidas where any consonant is pronounced with the inherent vowel a following it diacritical marks being used to express other vowels (this vowel occurs with greatest frequency in Sanskrit, and also probably in all Philippine languages). 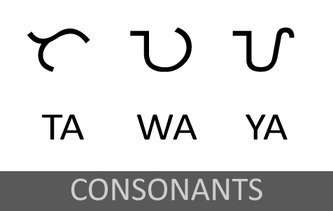 The three vowel characters were only used at the beginning of words and syllables, or syllables without any consonant. 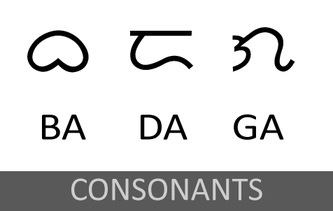 There were only three vowels because the ancient Tagalogs, and many other linguistic groups, did not distinguish between the pronunciations of i and e, or u and o until Spanish words entered their languages. Even today these sounds are interchangeable in words such as lalaki/lalake(man), babae (woman) and kababaihan (womanhood or womankind), uód/oód (worm), punò (tree trunk) and punung-kahoy (tree), and oyaye/oyayi/uyayi (lullaby). 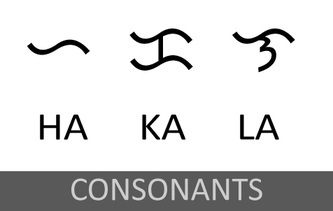 There are 15 basic consonants in Baybayin script each represent one of the fifteen consonants / p t k b d ɡ m n ŋ l r s h j w / followed by the inherent vowel /a/. 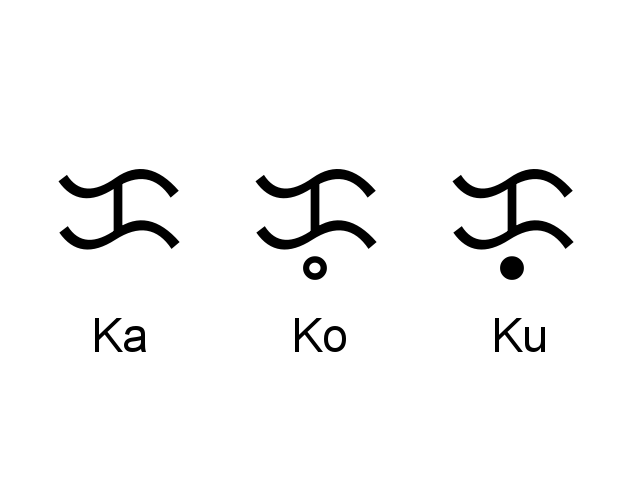 The kudlit is placed above a letter to signify the sound of I or E.
And to change the sound of a letter to U or O, the kudlit is placed below. 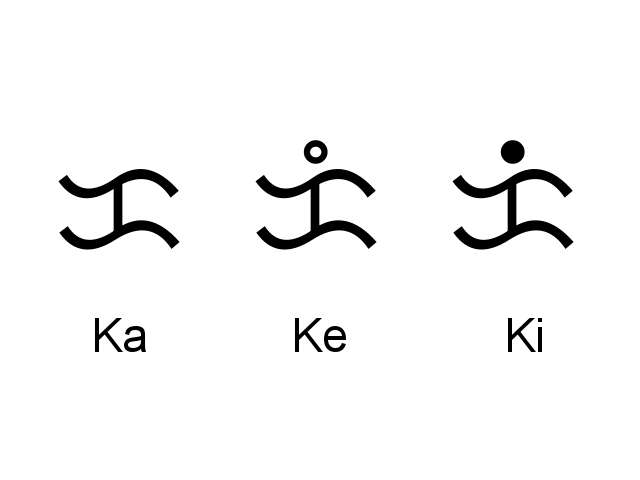 To terminate the inherent /a/ sound simply place a slash kudlit just below right of the character. On this inside spread of the Doctrina Christiana we have the translation of La Salve Regina. On the left page is the tagalog version written in baybayin. On the right side is the Spanish version in the European alphabet.